James Broderick Design Blog: Reorganised my Pinterest page! I have been doing a bit of general cleanup today: deleting a crap tonne of emails, reorganising folders and bookmarks, and deleting some older stuff I no longer have any use for. I have also been trying to re-organise my online presence, so I can focus on building this blog whilst making sure the content shares around. I found out that Pinterest is one of the main ways traffic is drawn to blogs, so I have been spending the last hour doing some reorganising and adding recent work to my own board. My Pinterest page is as old as this blog, but I haven't really been uploading my own work on there since I was in college. Now though it includes all the very recent pixel art stuff, as well as screenshots from Phaneron and Guiding Sprites. I have created some sub-sections within the 'James Broderick Design' board that contains all the different projects, you can even look through all the REALLY old stuff. 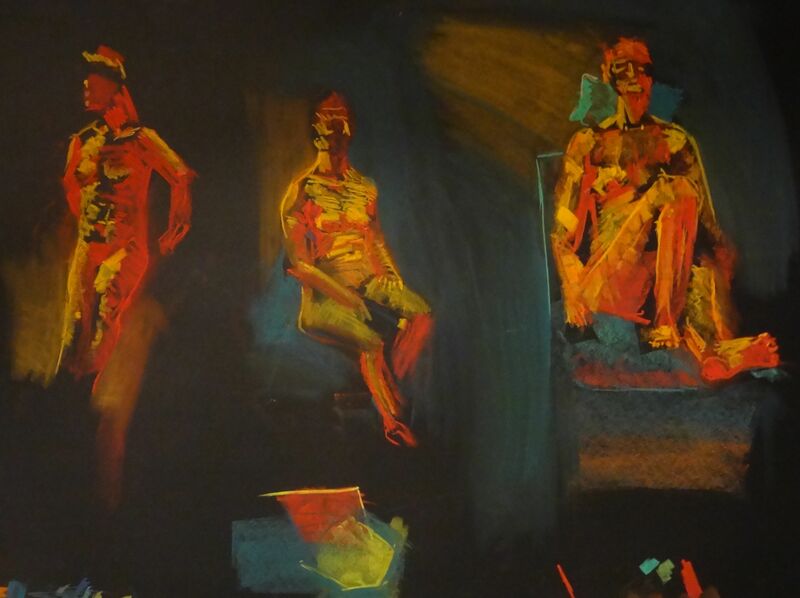 Old life drawing from uni with coloured pastels. I will probably try and add the pinterest sidebar widget again that displays the board, I liked having that there. Alternatively though you can pin anything on this blog using the giant 'Pin It' widget that appears when you hover over an image.